For many companies a gift with purchase can prove to be an effective component of any marketing campaign. 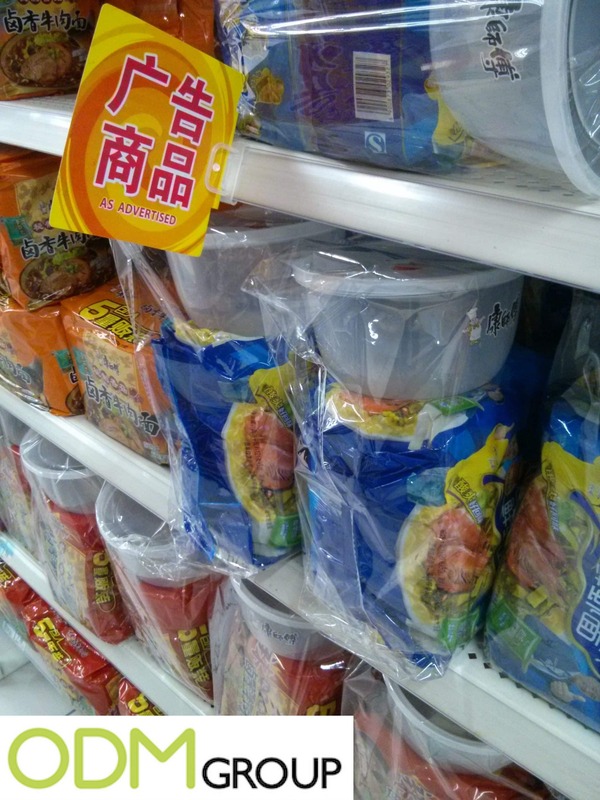 Here you can see examples of campaigns by two separate instant noodle companies, seen in a large Chinese supermarket. 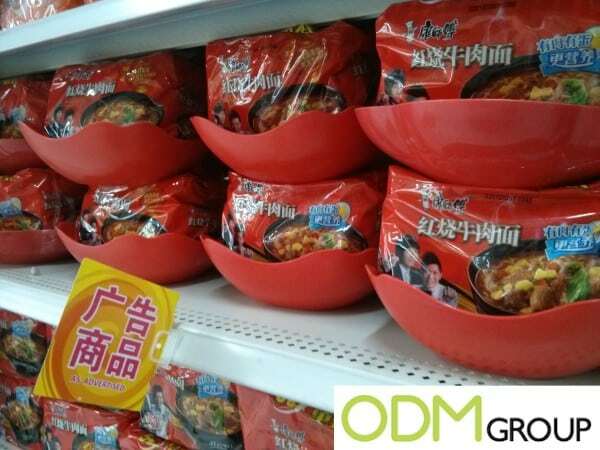 Here are two instant noodle companies which are currently offering gift with purchase promos. Both come attached with the largest available multipacks of the instant noodles. One of the companies is offering a clear sealable container, presumably to transport your noodles in before eating them. These branded promos are great for advertising a company. Furthermore, they’re a great way of boosting sales immediately by offering the customer more value with the original product. How eye catching is a gift with purchase? The other company has opted for a similar product but with a slightly different application; they’ve opted for a large bowl instead of container. Even though they’re two different promo items when you look at the shelf they’re the first two you’re drawn to. So simply, this shows the power of promotional products. Please feel free to contact our design team for ideas on a possible gift with purchase you could run. Or alternatively contact us here if you already have an idea and would like a quotation.